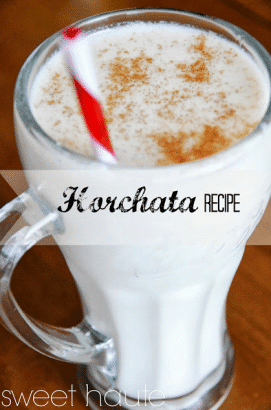 Horchata is a traditional spanish sweet drink recipe made from ground almonds, tigernuts, or rice. It’s served ice cold as a natural refreshment. The making and consumption of horchata can be traced back to the eighth century in Spain. Over time, however, the horchata drink became popular throughout much of Latin America. Most Latin American contraries today prepare their own variation of horchata. The recipe provided by Sweet Haute is prepared much like the beverage is in Mexico and Guatemala.